As the family were away, I decided to treat myself to a BBQ. Process is so utterly therapeutic I find myself in a zen like state – I’m not thinking of anything at all and I’m so relaxed it really is the ultimate pleasure – and this is before I’ve taken a bite. Some chicken legs – these can take an age to cook, so make sure they get healthy time on the grill. 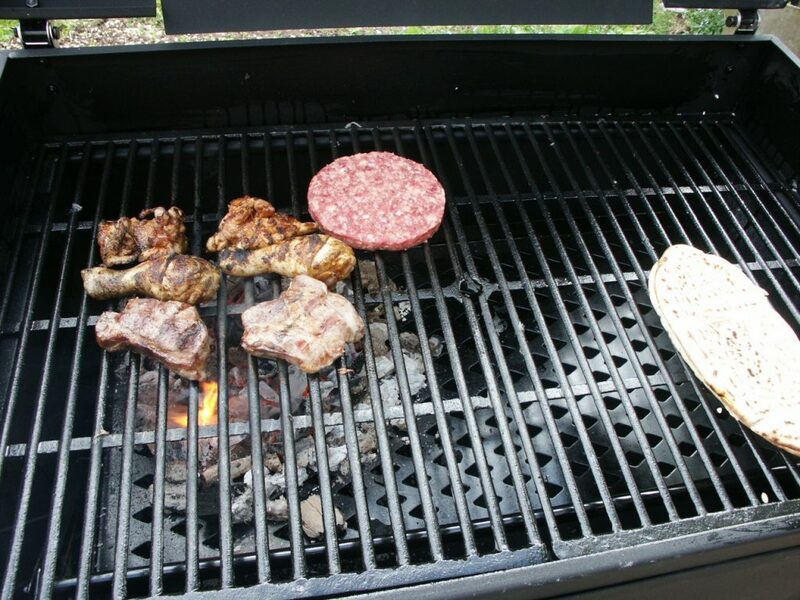 Just because they looked cooked or even burnt on the outside doesn’t mean they’ve had enough grill time. The clue is to keep turning chicken – lots and lots of times. Don’t let any side burn and keep an even temperature throughout. Add to that some lamb cutlets dressed in thyme and olive oil and a cheeky burger too (supermarket, sorry folks).